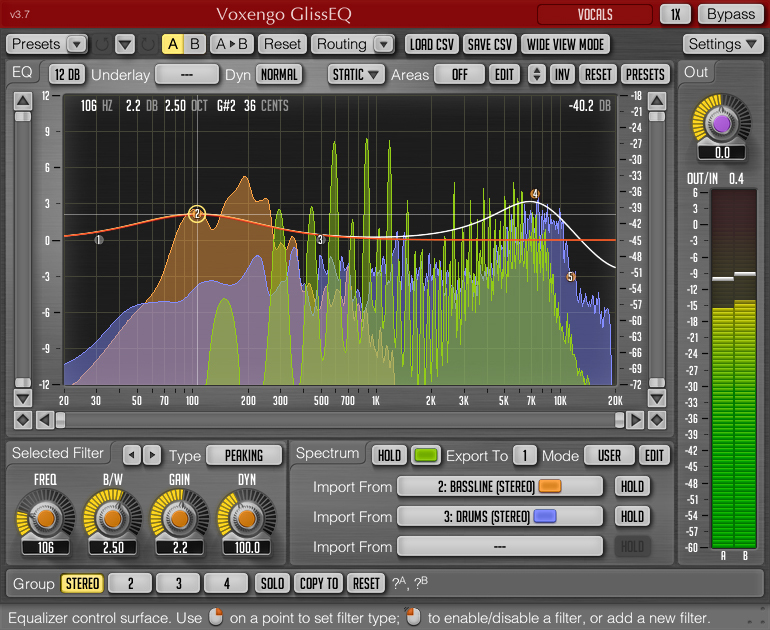 Voxengo updated its GlissEQ parametric equalizer to version 3.7. Voxengo GlissEQ version 3.6 update is now available for download. Voxengo GlissEQ version 3.4 update is now available for download. 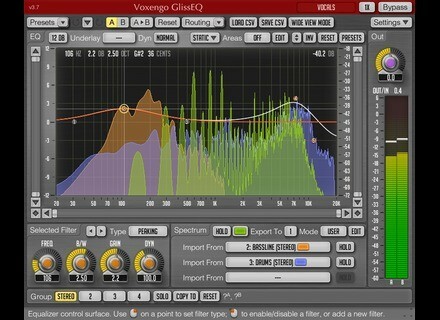 Voxengo has updated the dynamic parametric equalizer plug-in, GlissEQ, to version 3.3. Voxengo GlissEQ version 3.2 update is now available for download. An updated version 3.1 of Voxengo GlissEQ is now available fordownload. Voxengo has announced the release of version 3.0 of GlissEQ, a parametric dynamic equalizer plug-in, now available in AudioUnit and VST plug-in formats for Mac OS X (v.10.4.11 and later) and Windows (32-bit and 64-bit) computers.